Feeling the burger hunger once again, I decided that it was time for burger #15. 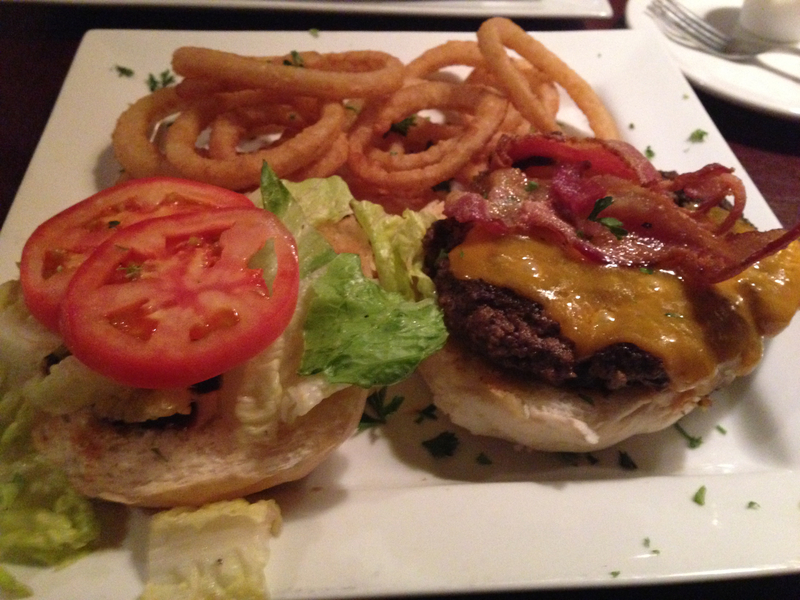 The hunger hit as I was walking on Quinpool, so I decided to head into Freeman’s to try one of their burgers. 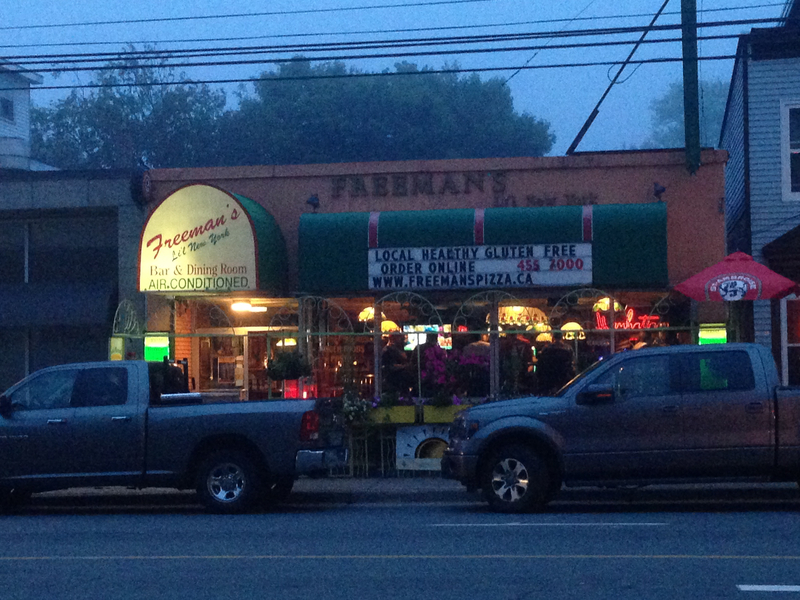 Located at 6092 Quinpool Road, Freeman’s has become a pretty popular spot for both beer-drinkers and late night eaters. I had eaten here many times before, and also had food delivered for numerous late night meals (they deliver until 5 AM!). For this burger, I went with the Fiery Smokehouse Cheddar Burger. The appearance of this burger was bittersweet. I was really hungry so they could have put anything in front of me and my mouth would have started to water. I also love seeing melted cheese topped with bacon, so that was a plus in my mind. However, this burger kind of had a lazy appearance. Everything was just kind of thrown on there and it just seemed rushed. The burger patty itself also looked kind of messy and didn’t really amaze me. All that being said, appearance is only one part of the meal, and I was still looking forward to eating the burger. After the first few bites I was somewhat confused as to why “Fiery” is in this burger’s name. There really wasn’t much of a kick to the burger as there wasn’t really all that much spicy-ness to it. I did really enjoy the BBQ-Ranch sauce, as those are probably my top two favorite flavors in existence. The burger patty didn’t really have any seasoning to it, which is something I would hope for when ordering a hand-made burger. I do think this burger could have a lot of potential, but there definitely needs to be more flavor added, and the heat level to be kicked up a few notches so it can live up to it’s fiery name. I came here to eat around 9 PM and there was only a few groups of casual diners/drinkers there. I do really like the laid-back nature of Freeman’s and how it feels very welcoming to many different groups of people. Our waitress didn’t seem very interested in making any kind of conversation (maybe she had a long day?) and she just kind of took our orders and brought our food. Having been to Freeman’s before, especially late night, I have seen some of the (drunk) people that they sometimes have to put up with here, and I can’t really blame her for not being overly excited about working another night shift. This burger cost me $13.99. This is a bit much for a burger that didn’t quite live up to it’s name. This burger, while filling, didn’t leave me completely satisfied as I was hoping for some heat. If they were to pump up the flavor a bit more, I would gladly pay this price again. 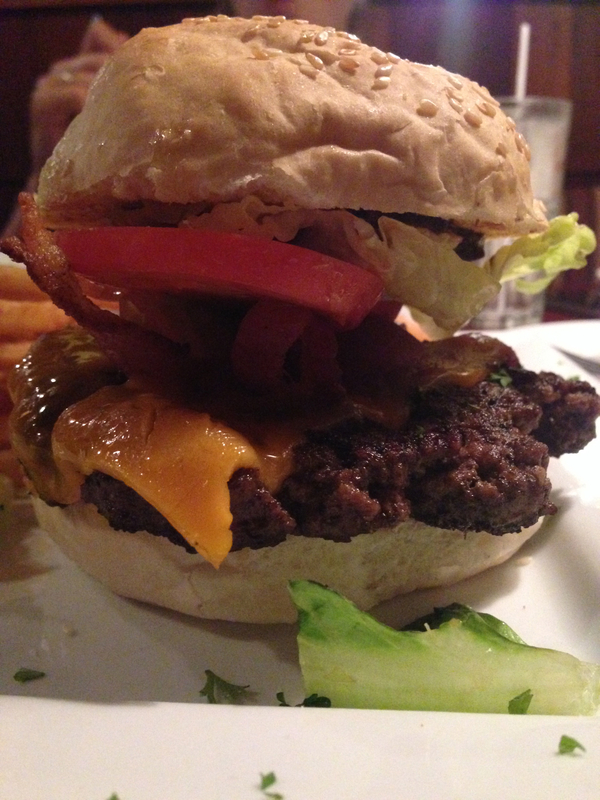 I was slightly disappointed with this burger, but I still enjoy going to Freeman’s. I’ve had many meals here, and I’ve never left feeling hungry. They have many great food options, like my personal favorite, the Chicken, Bacon and Cheddar Burger (seriously, try this burger). I know this place is a favorite of countless people, and I’m definitely not going to write them off based on this one experience.